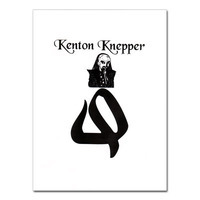 Today, when you order "Q book Kenton Knepper", you'll instantly be emailed a Penguin Magic gift certificate. You can spend it on anything you like at Penguin, just like cash. Just complete your order as normal, and within seconds you'll get an email with your gift certificate. Kenton's manuscript on cueing is due soon and includes marketed effects such as "My Mind/Your Mind Box", "Kenton's Kube" and "Sharpie Sense". Kenton has been fooling many people with his subtle and devious methods of cueing spectators secretly. Kenton breaks it all out here in easily understood terms: From the set-up, follow-through and follow-up. This is NOT a work on how to verbally cue a spectator. This is non-verbal cueing for the most part which has allowed Kenton to stun audiences and performers alike. Finally, this is about to be released! Several individual tricks sold by us are described in this manuscript. These tricks sell in the range of $15.00 to $25.00 each. That means getting this manuscript can satisfy your curiosity and save you money too. Kenton explains original effects used by himself and by other performers on stage and television. Many of the secrets that have fooled you in the last decade are in here. You will be surprised at what Kenton tips of his creations, and who has applied these concepts in their own performances. Most importantly, you will learn the secret principles of Kenton's manner of cueing, so that you may apply this knowledge to YOUR effects and performance style. Much of what Kenton does that appears as mentalism is a combination of subconscious and conscious cueing. Kenton's The Secret details his use of subconscious cues. 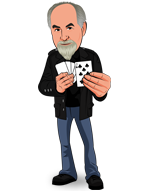 Q - The Book examines and defines Kenton's unique approach to consciously cueing spectators in mentalism. Many times the spectators themselves are in doubt of how they knew after the fact, and are as amazed as the rest of the audience - but in a different way. In other words, it's classic Kenton stuff. So twisted in thought, no wonder spectators wonder what on earth happened to them! Find out what has fooled countless numbers of people on stage and on television, with routines you can and will use. Rarely has spectator cueing been discussed outside the realm of stage whispers. Kenton has made a trademark of it, and now you can too. Just added! Television personality Keith Barry tips some of his Q and X work in this manuscript! Direct from the material that fooled you on the tube, the inner Kentonism secrets and how Keith did it. YOU can too... Thanks to Mr. Barry giving Kenton permission to explain it all. An in-depth and novel approach to creative cueing and commercial mentalism. 70 PAGES, full sized. All of Kenton's works are chock full of terrific, unique, & usually bold--yet practical information. Q is no exception. There are so many things I want to try in here, I hardly know where to begin. IF you can still get a copy, you definitely should. This book is not for the beginner. However if you know Kentons work and how to apply it, this is a must. This book touches on a little used system that will give the impression of a spectator becoming the mind reader. Highly recommended.